The Truth in Lending Act is a American federal law that encourages the knowledgeable use of credit by consumers through disclosures about any terms and costs that are associated with borrowing that credit. RESPA, or the Real Estate Settlement Procedures Act, requires that lenders provide simple and complete amounts of information at certain points in the loan process to help potential homeowners make informed decisions. 2) Closing Disclosure: This single form replaces the Truth in Lending Disclosure as well as the HUD-1 Settlement Statement. Lenders must provide this document to mortgage clients three (3) business days before closing. Every creditor or mortgage lender must provide these new consolidated forms every time they receive an application from a consumer for a closed-end transaction – one that must be paid in full including interest and other fees, and that is secured by real property on or after October 1, 2015. 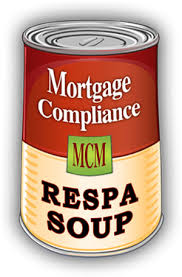 The RESPA TILA changes will not apply to HELOC and reverse mortgages. It also does not apply to those loans made by someone like a contractor to a homeowner for services like weatherization, for example, if the contractor makes five or fewer mortgages per year. Realtors are also subject to new rules and regulations as to what they can and can’t do, but should go to their own National Association website or www.realtor.org for more information.